used primarily for 2-3 hr road rides where there are few street lamps. Can easily run on the lowest lumen setting as it is so bright but use higher lumen setting for fast descents. 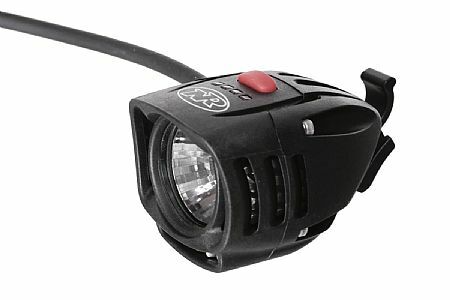 Great for daytime rides with the strobe modes. just wish the battery pack had rubber bungees instead of the webbing and clamp. that would make for quicker removal when the bike is unattended. I'm actually surprised how effective this light illuminates the trail.